In a stunning declaration last week at a conference in Guatemala attended by US Vice-President Mike Pence, Guatemalan President Jimmy Morales announced the capture of 100 ISIS terrorists in Guatemala, a well-known paradise for human smugglers. With the recent news of another caravan of 4,000 Central Americans on its way to the US southern border intent upon either entering the United States illegally or seeking asylum, this is not good news. One can only imagine how many terrorists and gang members are among the caravan, how many have infiltrated the United States already, and how many are standing by to join the next caravan. Overwhelmed by the volume of illegal immigrants attempting to cross the US border and with detention facilities filled to capacity, ICE has been forced to open the door and release illegals into the US. 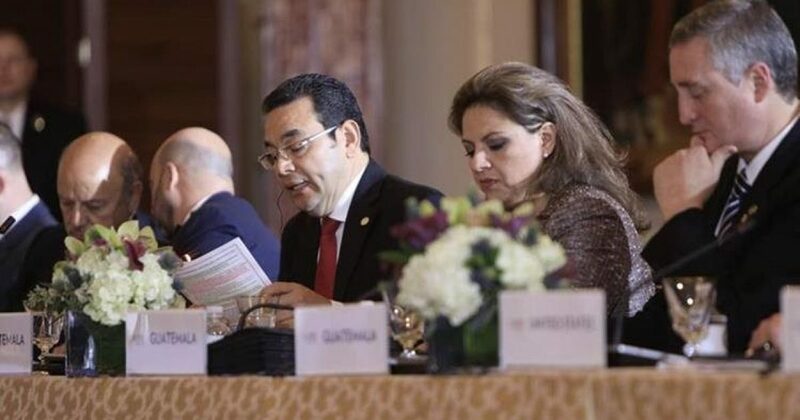 President Jimmy Morales highlighted on Thursday that one of his achievements in security is the capture of almost 100 terrorists of ISIS – Islamic State – information that is protected according to the Secretariat of Strategic Intelligence. Morales gave his speech during the second Conference for Prosperity and Security in Central America, which includes officials from the United States, the presidents of Honduras, Juan Orlando Hernández and the vice president of El Salvador, Óscar Ortiz, as well as secretaries of Foreign Affairs and Governance of Mexico, Luis Videgaray and Alfonso Navarrete. is a work in coordination with the different intelligence and security agencies”. The number of “the individuals intercepted, detained, prosecuted or returned to their country of origin, is close to 100”, reaffirmed the Secretary of Strategic Intelligence, Mario Duarte, who indicated that the details of these captures are confidential information. The official explained that the identification of people who are considered “of interest”, occurs because of the coordinated work and trust that there is “with several intelligence and security agencies of the world” and that the National Intelligence System of the country also works in a coordinated to prevent any criminal act that may affect Guatemalans. In his speech, the president also said that between 2018 and 2018, one thousand 250 gang members from Barrio 18 and Mara Salvatrucha (MS-13) have been captured, for which 150 structures dedicated to extortion and murder were dismantled.